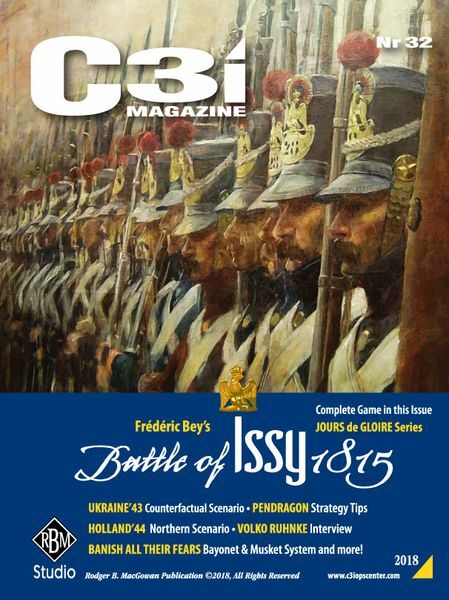 Continuing the Jours de Gloire series, the Battle of Issy, 1815, designed by Frédéric Bey is a complete, standalone game included with RBM Studio's C3i magazine, number 32. 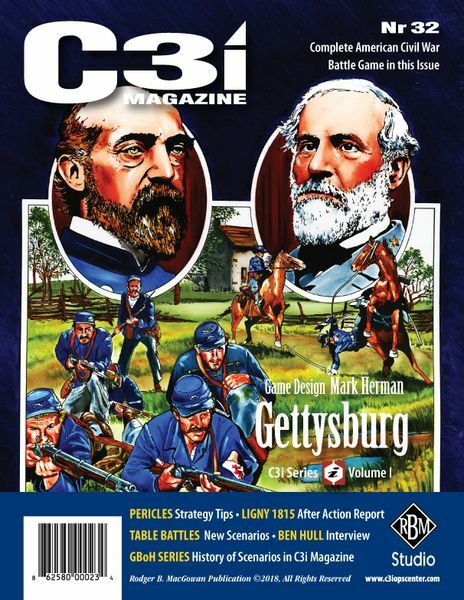 Gettysburg is a simple wargame focused on the epic Battle of Gettysburg (July 1-3, 1863). One player take the role of the Army of Potomac (General Meade) and the other controls the Army of Northern Virginia (General Lee). 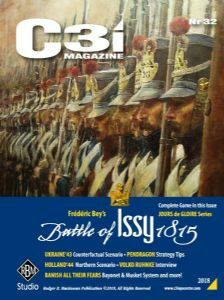 The game portrays Gerneral Lee's Confederates attempting to open the road to Baltimore/Washington, or destroy General Meade's army in detail. Plan Orange is a complete stand alone game inside C3i Magazine Nr29 that uses the "Empire of the Sun" (GMT Games) CDG engine to simulate a hypothetical Pacific war between the United States and the Empire of Japan in the early 1930s. Featuring award-winning designer Mark Herman's standalone game "South Pacific," throwing you into the fight between the Allies and Imperial Japanese forces near the Bismarck Barrier during 1942-1943.